Sauflon is a global international manufacturer of contact lenses and lens care products. Leaders of the novel material used in contact lenses, silicone hydrogel. Sauflon provides a comprehensive range of contact lenses including the Clariti range as well as aftercare products for contact lenses. The lens care products also include the All in One Light disinfectant solution as well as the Sauflon Saline. 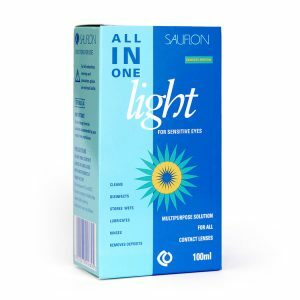 The All in one Light is available in a convenient 100ml flight size suitable packaging. In 2014 this company was purchased by Cooper Vision bringing together the strengths of both companies under a single brand. 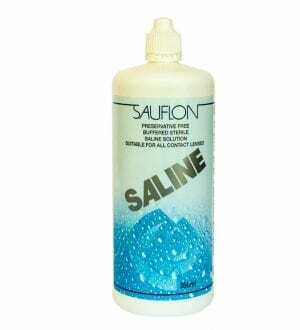 Sauflon Saline Solution is a sterile, preservative free lens care solution suitable for all types of contact lenses.